All the walnut came from a single log and the tops are all cut sequentially from a single board that was 12′ long and 24″ wide. Likewise, all the Curly Maple came from a single log and is book matched in the panels of the end cabinets. 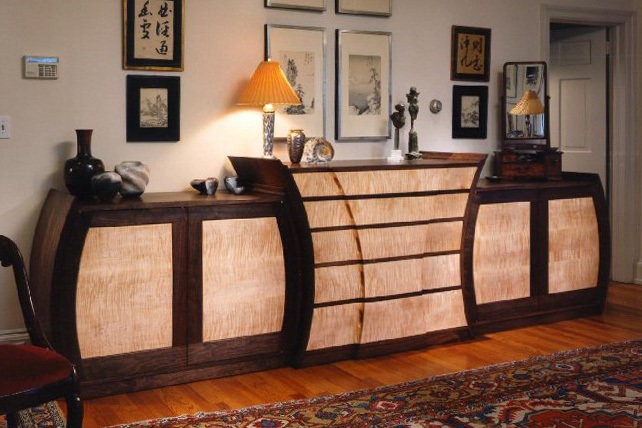 The sides of each of the cabinets are bent, tapered laminations. 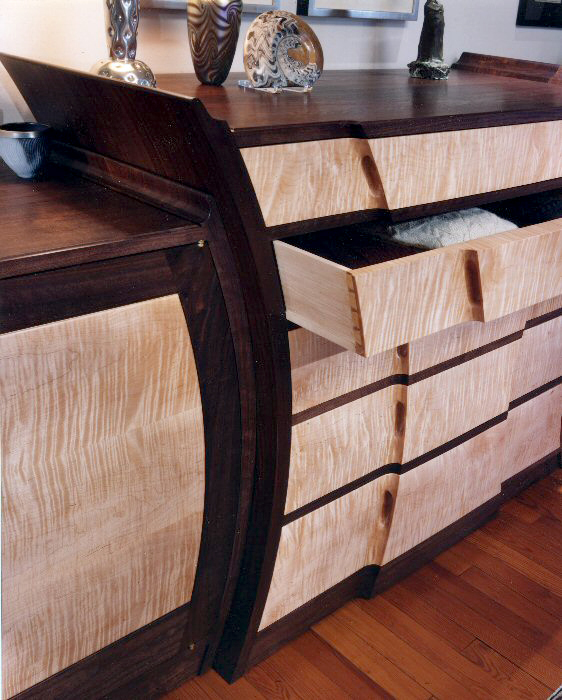 All the drawers are dovetailed and the dust panels between the drawers are made of Eastern Red Cedar. The backs of the end cabinets are also Eastern Red Cedar.